"On my route, most of the places I pass trigger memories. Like here. My mother's house. Where I grew up." James McDougall narrates in his film, The Routes over footage of himself cycling past his birthplace in Kitigan Zibi. "She passed away last year. Losing my mother was very tough. Still is. She was a very positive person and raised me with good values. Since then, I've been trying to connect more with my roots." The film, produced with Wapikoni Mobile, is about a man's journey through his community on his bicycle, and documents the memories and disturbing events that have marked its history. Still from The Routes, photo courtesy of Wapikoni Mobile. James McDougall won the Jane Glasscow award for Emerging Talent at the ImagineNative film festival earlier this year for his film. 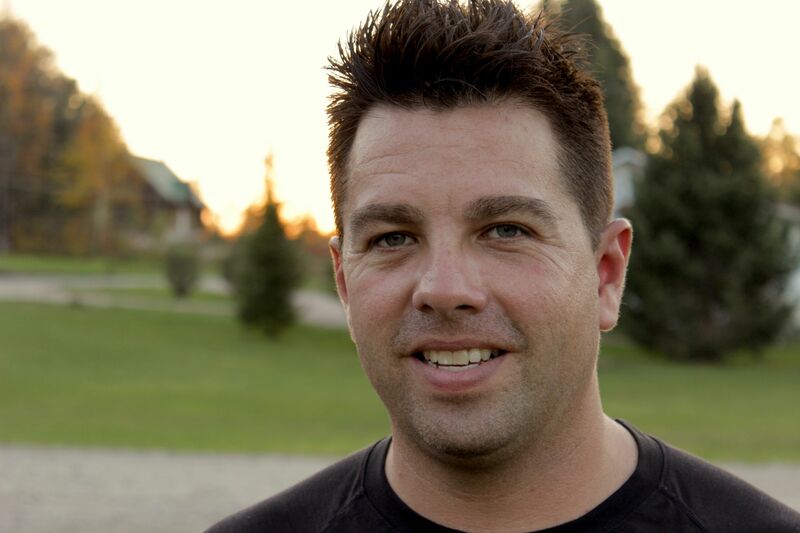 Passionate about cycling, camping, hiking, running and other outdoor activities, James (known as Zicks) works at the Kitigan Zibi Health and Social Services. 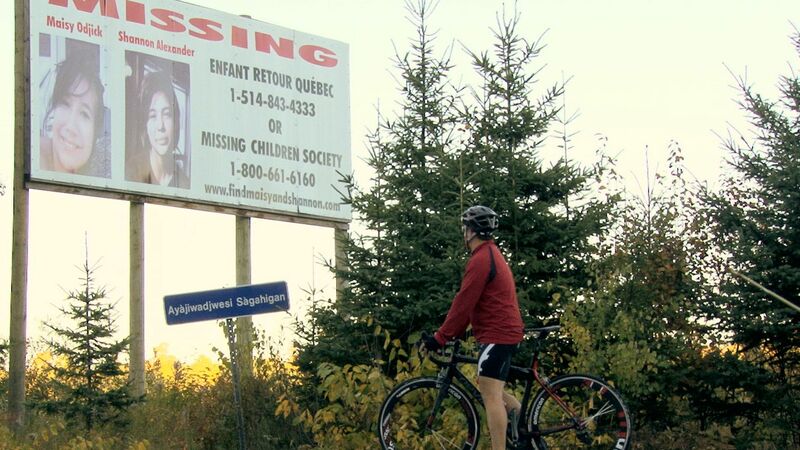 Next year, he hopes to cycle across Canada to raise awareness for the missing and murdered Aboriginal women.